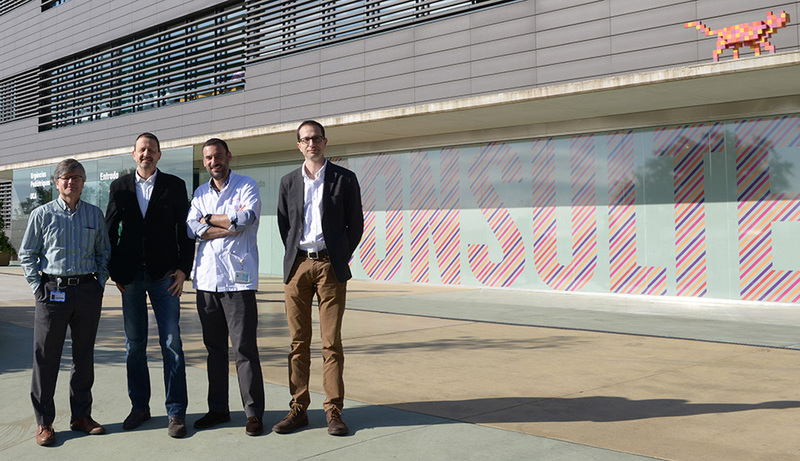 Researchers at SJD Barcelona Children's Hospital and the Universitat Politècnica de Catalunya (UPC) Terrassa Campus have developed a biodegradable nanofibre scaffold using a spin-off. It can be coated with antitumour drugs and surgeons can use it to cover the operated area during operations to remove the tumour. This allows them to remove any possible tumour remains. This system, involving local administration of antitumour therapy, is less toxic and more effective than radiotherapy. The researchers have demonstrated its efficacy in animals and they have started the procedures required to obtain authorisation from the European Medicines Agency (EMA). They will then be able to begin the pre-clinical and clinical phases of their first drug developed to treat soft tissue sarcomas. The company, Cebiotex, was set up in 2012 to carry out the project, funded by private investors and SJD Barcelona Children's Hospital. Cebiotex recently launched two funding rounds to attract private investors through the European crowdfunding platform for biotechnology, Capital Cell. With this initiative, it wants to guarantee that the new drugs developed reach not only adult cancers, which are the most economically profitable, as they are the most prevalent, but also childhood cancers, which are orphan diseases due to their low prevalence. The surgery, performed by the neurosurgeons Jordi Rumià and Santiago Candela, put an end to the teenager’s refractory epilepsy.